Business Insider/Hayley PetersonAldi has a new look. Aldi is spending $US5.3 billion to build 800 new stores and remodel existing locations. 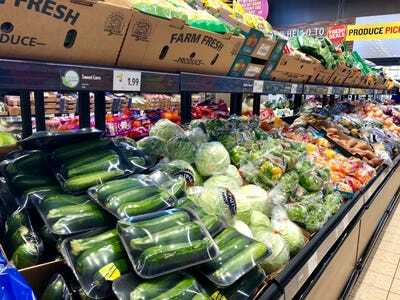 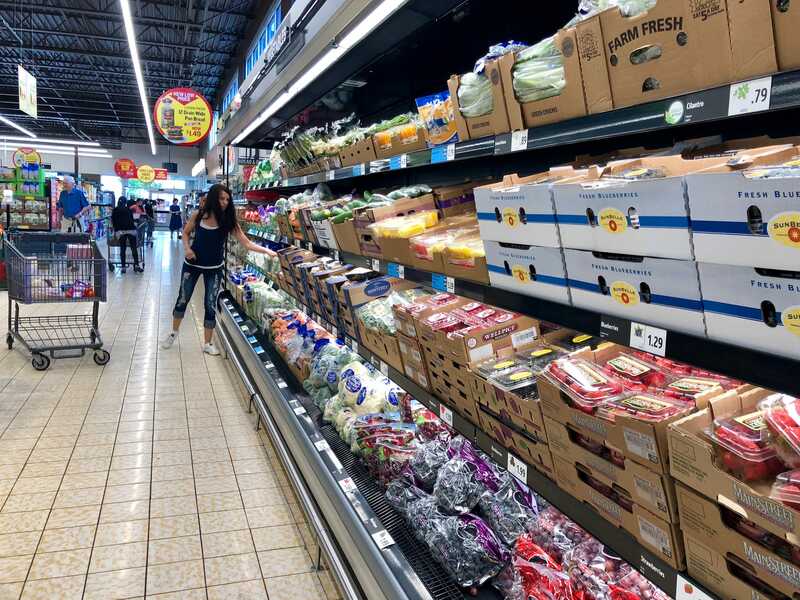 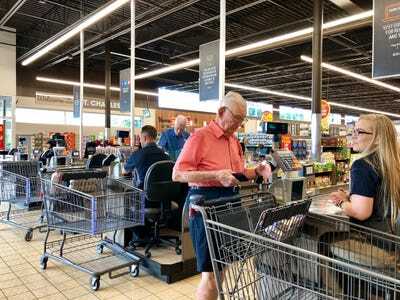 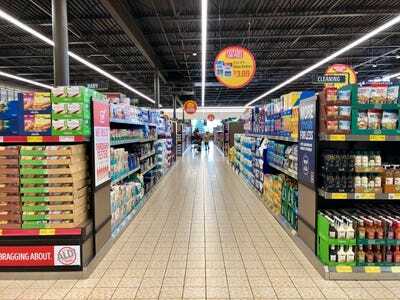 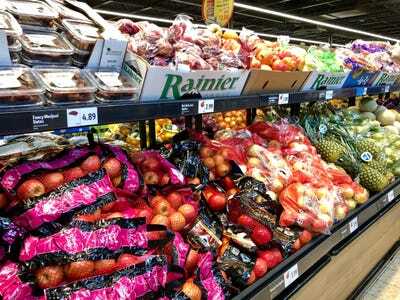 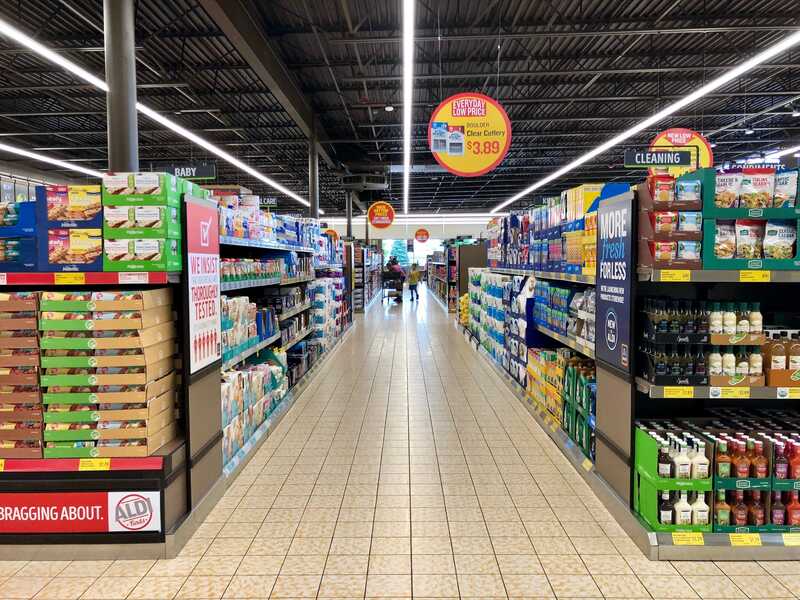 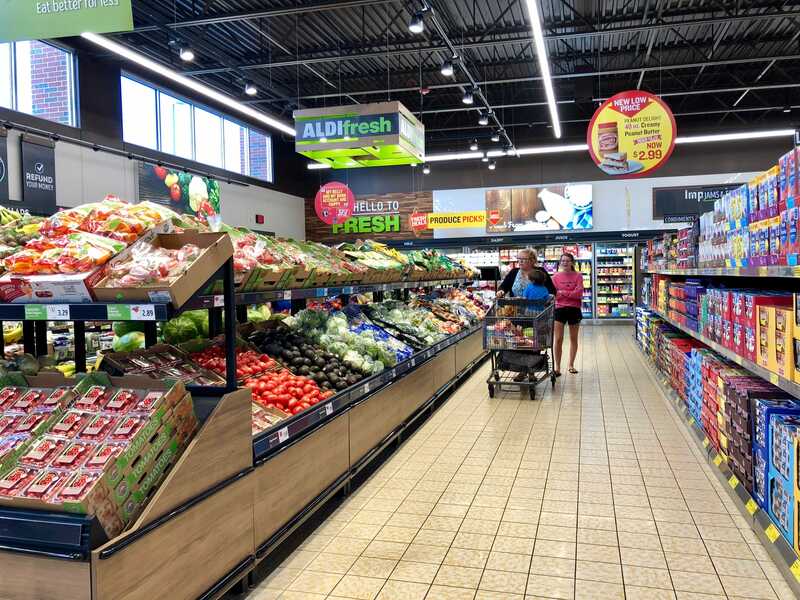 Aldi is halfway through its $US5.3 billion plan to build 800 new stores in the United States and update hundreds of existing locations. 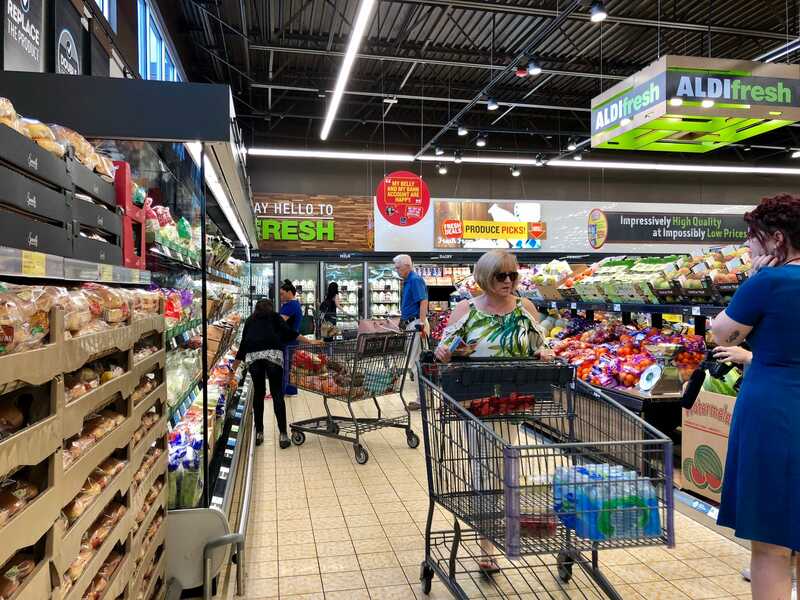 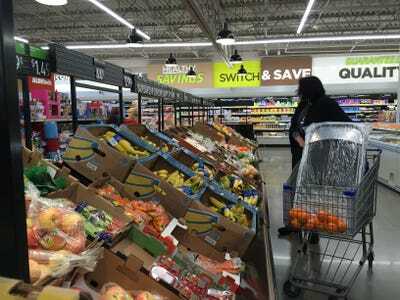 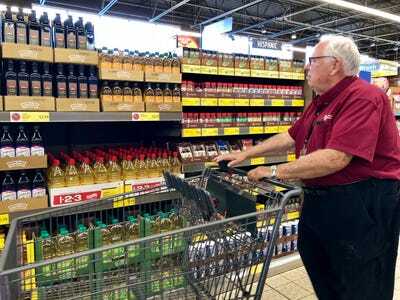 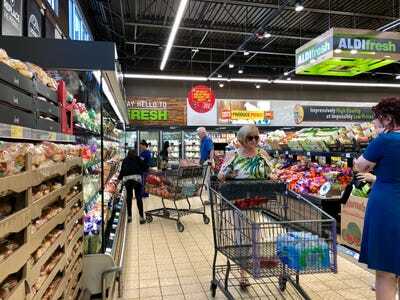 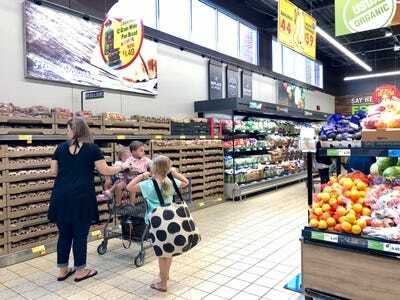 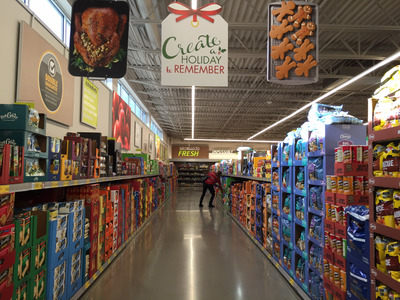 Aldi’s new and remodeled stores feature 20% more shopping space than the older stores. 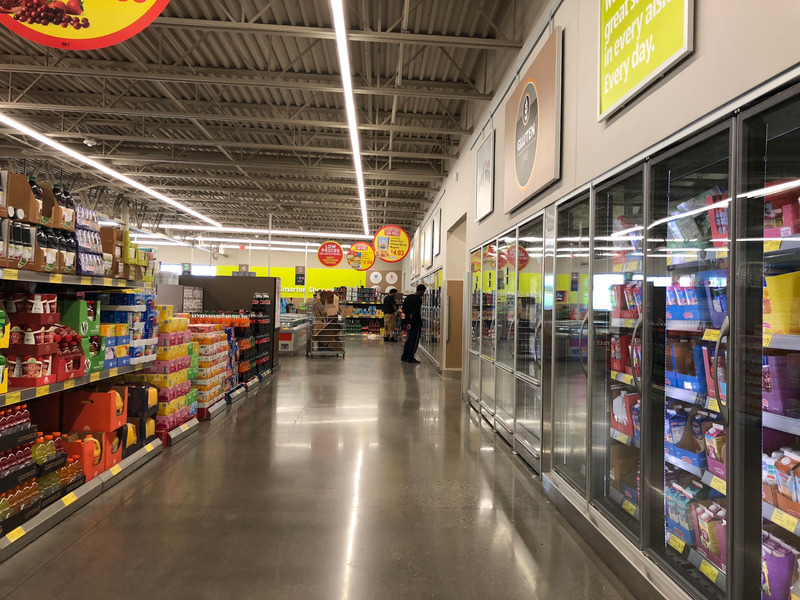 This newly remodeled store is 12,000 square feet. 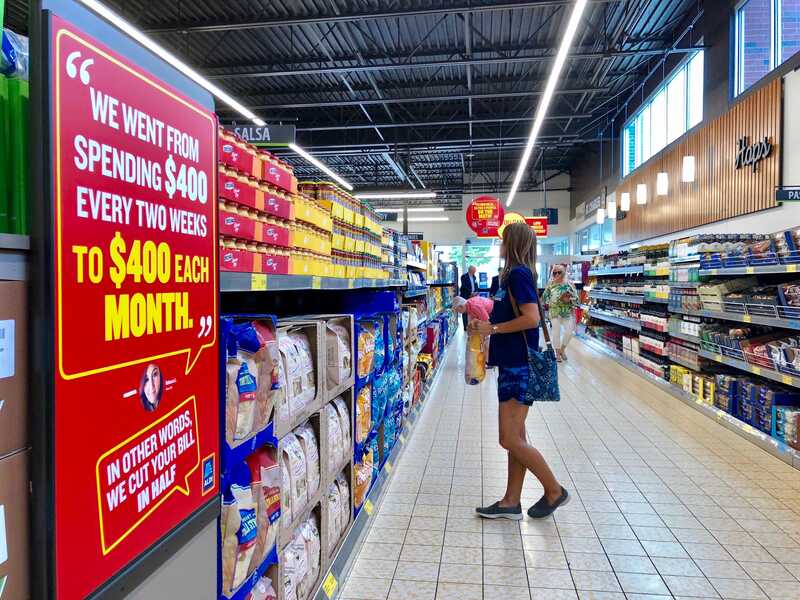 New, back-lit signs added colour to the walls. 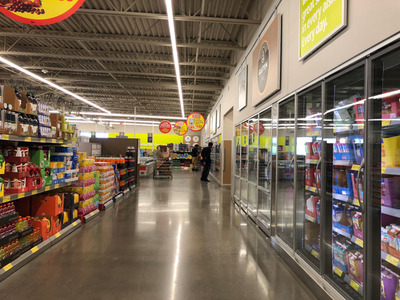 By comparison, the aisles in an older store I visited in 2015 were darker and shorter, and they featured grey flooring. 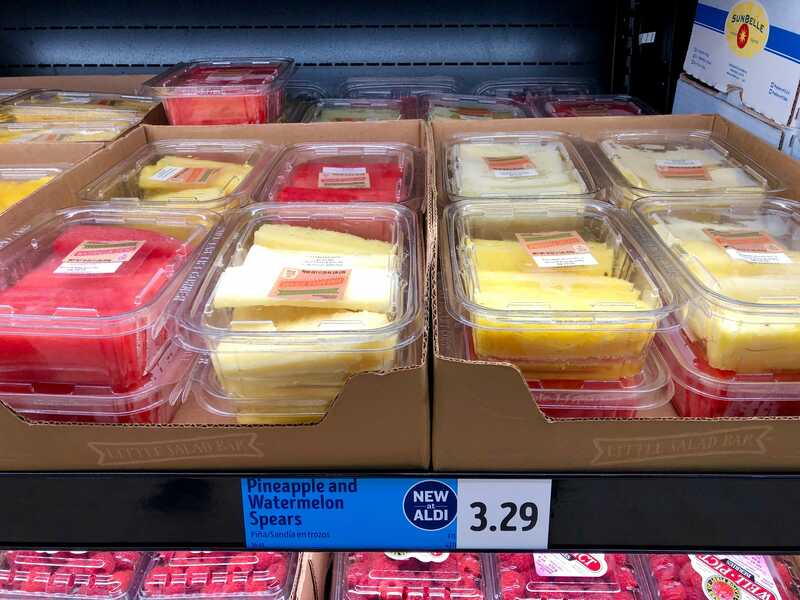 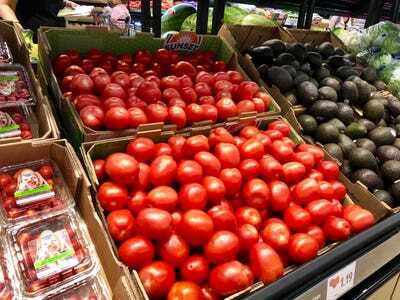 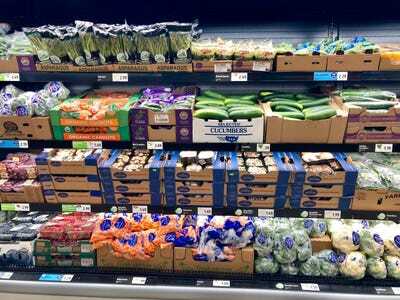 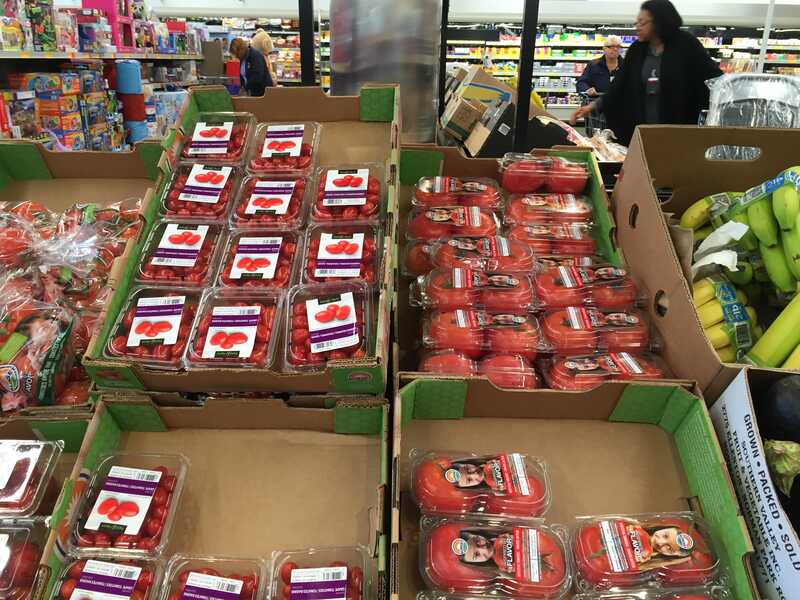 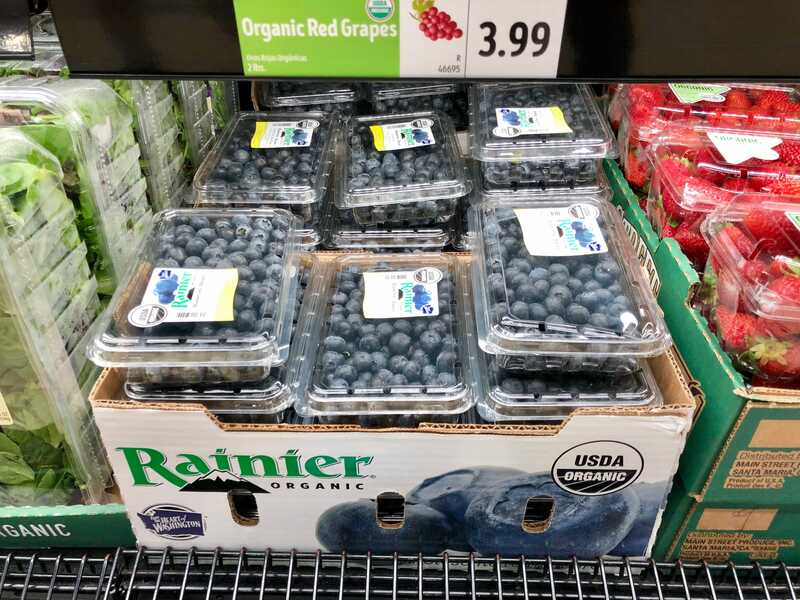 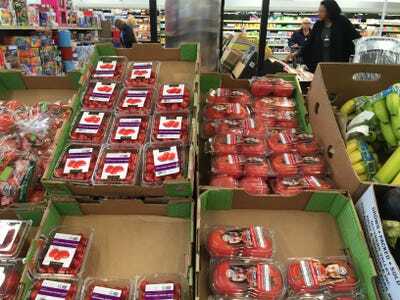 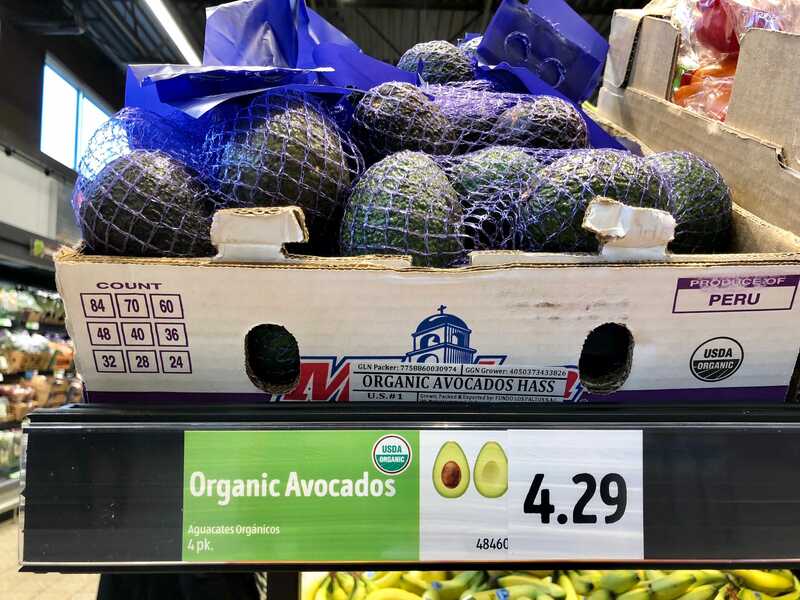 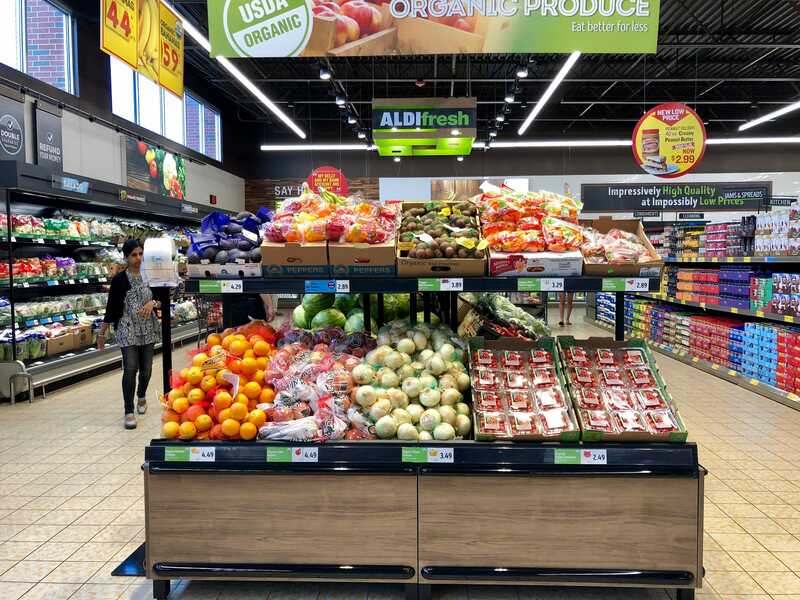 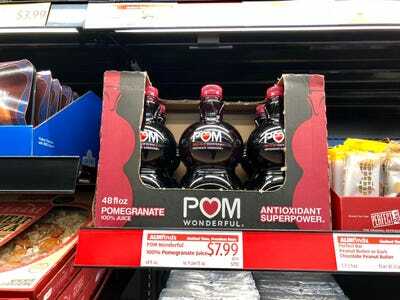 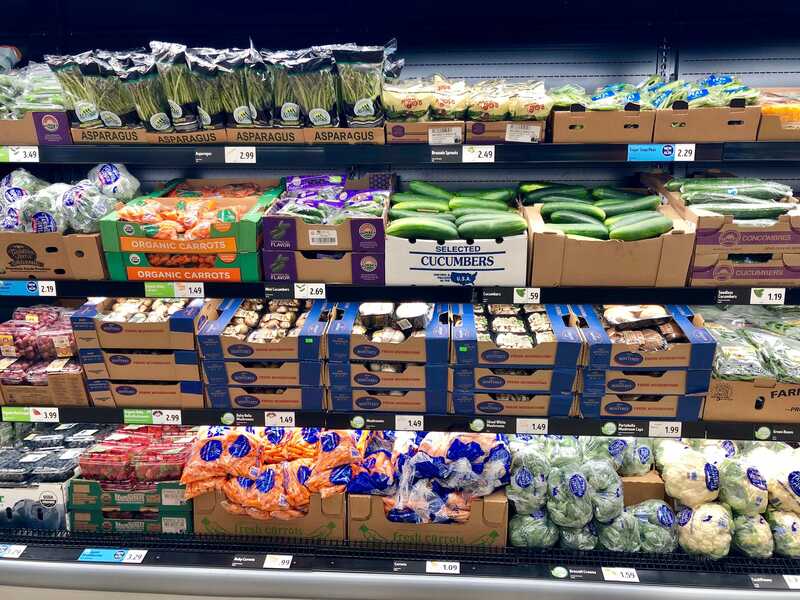 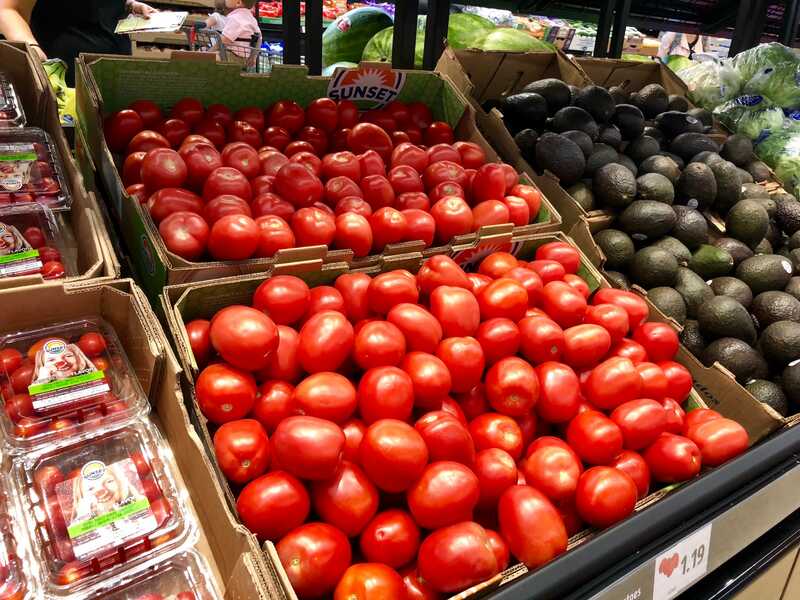 Aldi’s new stores now feature a much more extensive selection of fruits and vegetables. 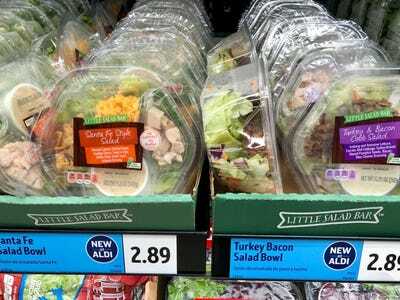 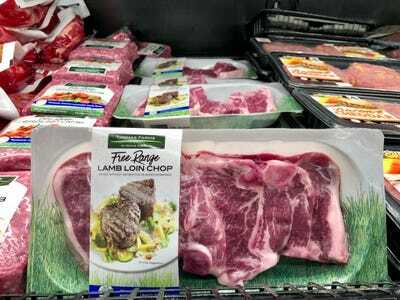 The new additions will also grow Aldi’s fresh food offering by more than 40%, according to the company. 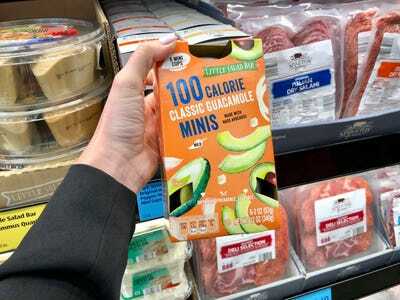 … and grab-and-go items such as single-serve guacamole and hummus, salad bowls, and quinoa bowls. 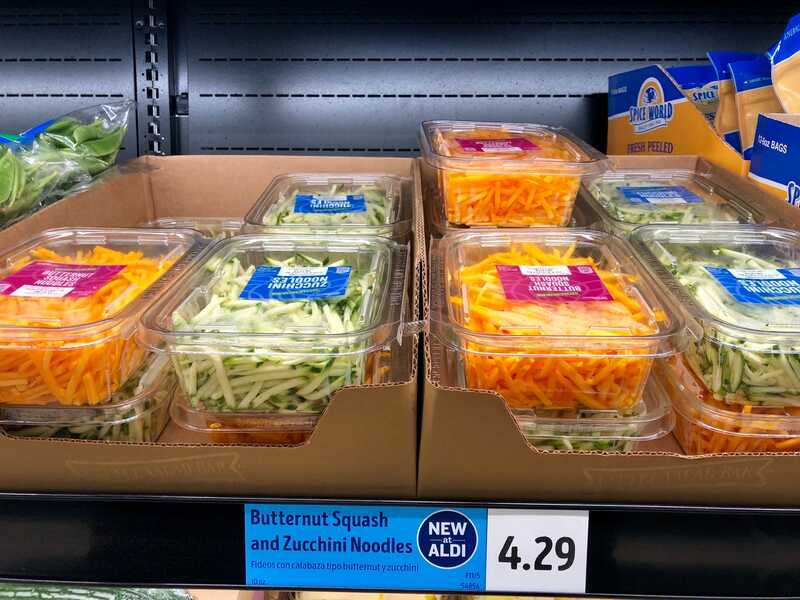 Aldi’s large percentage of private-label goods help the company keep costs low. Aldi also saves money by displaying products in the boxes in which they were shipped. 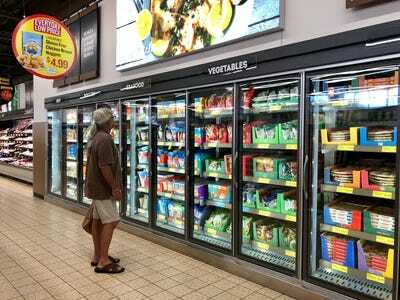 This cuts down on the amount of time employees spend stocking shelves, which in turn saves labour costs.